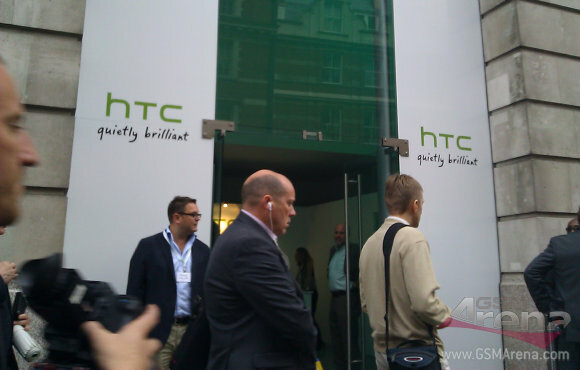 HTC's pre-IFA event was (as suspected) all about Windows Phone 7 Mango. HTC had a lot to say about the new version of the OS and what they've added to it, but also showcased two new phones - the 4.7" monster called HTC Titan and the smaller HTC Radar. We'll get to retelling what HTC told us about Mango, but first we'll focus on the two stars of tonight's event - the first two WP7 phones with Mango to go official. Update, September 2nd: We added hands-on videos with the Titan and Radar, plus some more photos from the event. The HTC Titan (formerly Eternity) is an informal successor to the HD7. It packs a 4.7" S-LCD screen with WVGA resolution. 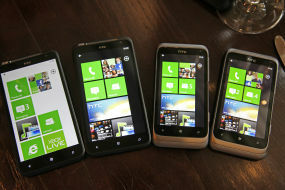 That's the biggest screen HTC have put on a phone yet and the Titan is the fastest WP7 phone (for now) with a 1.5GHz CPU. It's a unibody design and it's only 9.9mm thick making it one of the thinnest Windows Phone 7 devices yet (title is shared with Samsung Focus). The phone has some heft to it though, at 160g. The second half of the duo is the HTC Radar (used to go by Omega). It's here to take over for the Mozart and the Trophy. 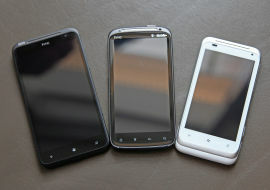 The Radar has a 3.8" S-LCD screen with WVGA resolution and goes back to the WP7 standard 1GHz processor. It has a unibody design too, but it's slightly thicker than the Titan, measuring 10.9mm. The Titan boasts an 8MP camera, while the Radar has a 5MP one. Both shoot 720p video and are accompanied by front-facing cameras. The Titan and Radar cameras are interesting because they have exclusive features, you wouldn’t find on other WP7 phones. 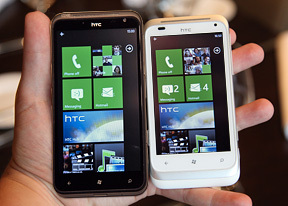 Anyway, we'll go over HTC's improvements of Windows Phone 7 Mango and we'll follow that with hands-on impressions from the two phones. you forgot to mention the Front Facing Camera on the HTC Radar which would have to be the main reason someone would drop their Trophy or Mozart for it.